Dino Crisis is a survival horror 3rd person action shooter. It is in the same style as the early Resident Evil games and was originally released on the PS1 in 1999 and then the Sega Dreamcast in 2000. The year is 2009 and you are Regina a member of the Secret Operations Raid Team of SORT. You and three other people are about to parachute onto an island. Another member of your team named Tom was sent to spy on the laboratory hidden deep inside the island and he has stopped reporting in. During one of Tom’s last communications he reported that a man named Dr. Kirk was on the island continuing his research. According to records Dr. Kirk died three years ago but it looks like his death was faked and now he is running the laboratory. His extraction is a must! 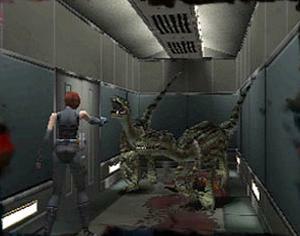 There are several similarities between Dino Crisis and Resident Evil. 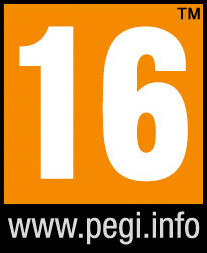 Both games are based on the same style and platform and each have the same producer and developer Capcom. Resident Evil 3 and Dino Crisis both came out in 1999. So is it just remove zombies and input dinosaurs? Some parts yes but mostly no. The controls, camera style and aiming are the same as Resident Evil 3. The controls are a little clunky just like the first three Resident Evil games and the fixed camera angles work with adding suspense. The auto aim is pretty good, you hit what you are aiming at almost every time. We really like Regina character and her voice acting is spot on even though the rest of the cast is terrible from start to finish. Yes, this surprised us to, the early Resident Evil games are not known for any good voice acting at all. The big main different between RE and Dino Crisis is that Dino Crisis tries to persuade you not to fight the dinosaurs. One of the ammo choices are tranquilizer darts and that is just not fun because if you go back into that area you have to deal with the dinosaur again. You can make the darts stronger and even make them into poison darts but that takes a while before you can start to make them. You can just run by dinosaurs most of the time without having to worry about them attacking you and often they are asleep on the ground. You can be out of the area and on to the next section before they even stand up. There are laser fences all over the base stopping them from getting to you. We did like this mostly but once more you don’t fight them and the dinosaurs regenerate in areas after you kill them causing you to just waste ammo. Why clear a hallway if they are just going to come back the next time you run into that room. We also did not like many of the puzzle elements. First, you can’t pick up the memo files laying around so if you get stuck you can’t read the file in the menu. You have to backtrack to the memo and read it again, it is pointless. You have to break codes to get into certain areas but the code breaking is not clear and even when we figured it out it made no sense. Dino Crisis is not bad but the same elements that we did not like when it first came out is still a problem today. The game took us 5 to 7 hours to complete the first time and the replay value is only slightly average. You can unlock a mode when you get to have the Grenade Gun unlimited ammunition but you have to play three separate games from start to finish and get all three endings to get this special weapon. It is mostly not going to be worth your time to do it. It is just on OK game and $6.00 is not bad but it does go on sale and we would try to get it under $4.00 or less. 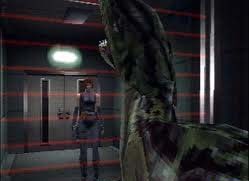 Dino Crisis does some good things but it is not as good as the Resident Evil games even through it uses the same style.